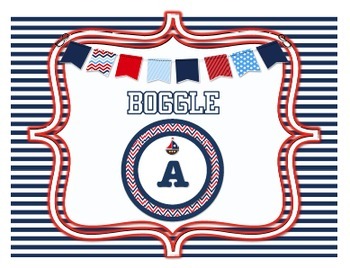 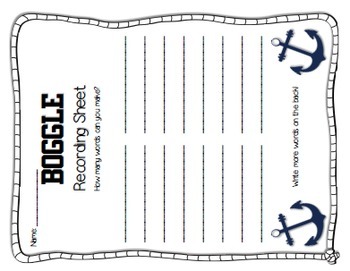 Nautical theme boggle bulletin board activity. 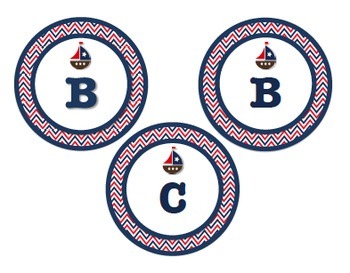 Print, cut, laminate, and place the letters on a bulletin board, poster, or wall. 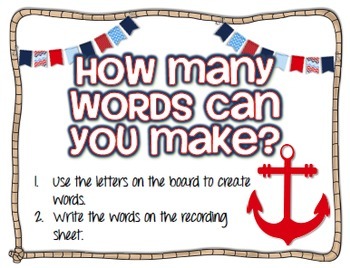 Students will use the recoding sheet to create words.